Florentine by birth and Genoese by adoption. Today she lives in Bogliasco, in Genova’s province. As a child she sings in the choir of Chiusi della Verna (Arezzo), the town where she grew up, dreaming of being a dancer and imitates Heather Parisi’s moves. She started singing seriously almost by accident, accompanying a friend who sings in a club, she moves on stage … and the manager hires her! the day after her singing career begin! 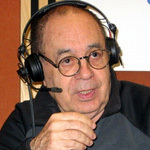 With “Non è la Rai “, the famous transmission of Gianni Boncompagni, she began her musical career dubbing Alessia Mancini and other girls, this experience opened the doors of recording studios to Michela. She participated to the songs for the last edition of the program (94/95), behind the scenes she was nicknamed “Speedy” for the ease and speed with which she learned and record dubbing for songs. Together with Marco Masini is probably the most important experiences in that time: the winter and summer tour 2000 “RACCONTAMI DI TE” and several television appearances. 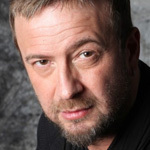 Always with Marco Masini participates in the implementation of the “SCIMMIE” album, ”RACCONTAMI DI TE” and “USCITA DI SICUREZZA”. 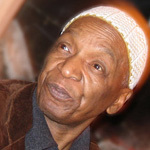 Returns as a chorister on television in the program “Help” by Red Ronnie in 2001 with singer Jenny B. In 2001 she was noticed by Bobby Durham, (Frank Sinatra’s and Ella Fitzgerald’s drummer), who invited her to sing in his album “We three plus friends”. In Bobby Durham’s masterpiece Michela sings “Estate” by Bruno Martino and “Una lunga storia d’ amore” by Gino Paoli, in revised versions of the same Durham in jazz style. 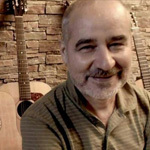 On 2002 Riccardo Galardini, known guitarist, composer and arranger, asks her to be part of their group, the “N.E.O.S. Project “. In this context, thanks to a fusion of styles and eras, Michela has a way to enhance her versatility, which allows her to go from jazz to Brazilian music, the Beatles, and new songs written by Galardini. 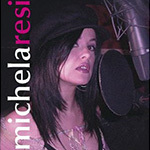 In 2007, she released the single “Bridget Jones” music by Marco Morini and lyrics of Michela. The collaboration with guitarist Paolo Lo Re with which she shares the “GEBO” project, an acoustic duo, through the search of new and particulary sounds lead Michela to create unique and charming atmosphere; acoustic concerts with the eclectic musician Paul Lo Re have allowed to realize this dream into increasingly refined and sophisticated performances. 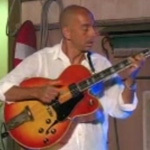 The close collaboration with Giorgio Primicerio help Michela to perform in some of the most prestigious theaters (Carlo Felice in Genoa, Goldoni of Livorno …) and gave birth to Michela’s multimedia concert entitled “PIESSEZERO”, realized in Bogliasco , under the patronage of the Levantine Municipality. 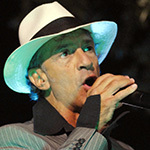 Always with Georgio Primicerio Michela participated in the Genoa show for Them to Carlo Felice in Genoa and has had several television appearances on Telegenova. 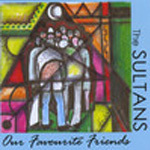 On the album “Our Favorite Friends” by The Sultans of Swing, produced by Drycastle Records, accompanied by the piano of Silvano Large and bass of Mauro Bozzi, proposes the two jazz classics “You’ve changed” and “God Bless The Child” registered in her native Tuscany.